Liczba stron: 102 Jest to ujednolicona liczba stron, która ułatwi Ci porównanie długości książek. Każda strona Legimi to 200 słów. Timon Of Athens is a play by William Shakespeare, published in the First Folio and probably written in collaboration with another author, most likely Thomas Middleton, in about 1605–1606. 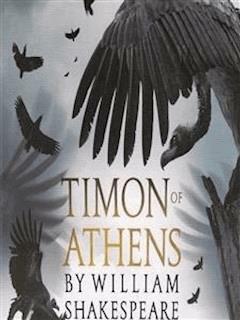 It is about the fortunes of an Athenian named Timon. Scene.--Athens, and the neighbouring Woods. POET. I will unbolt to you. You see how all conditions, how all minds-- As well of glib and slipp'ry creatures as Of grave and austere quality--tender down Their services to Lord Timon: his large fortune, Upon his good and gracious nature hanging, Subdues and properties to his love and tendance All sorts of hearts; yea, from the glass-fac'd flatterer To Apemantus, that few things loves better Than to abhor himself: even he drops down The knee before him, and returns in peace Most rich in Timon's nod.